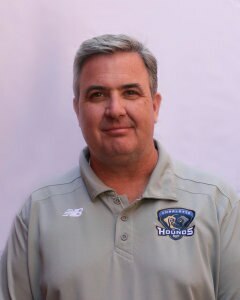 Since organizing and leading the investment group that helped bring the Hounds to Charlotte in 2011, Jim has served as the team’s Managing Partner and President. In his role, Jim oversees all aspects of the Hounds’ business operations. 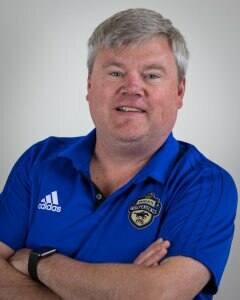 Additionally, Jim started the Charlotte Hounds Foundation as a way to give back to the community and help grow the sport of lacrosse in the Carolinas. Jim has over 20 years of sports and entertainment marketing experience. Prior to founding the Hounds, Jim spent three years with the Charlotte Bobcats, where he served as Senior Vice President of Brand Marketing and was responsible for the team’s marketing and ticket sales. He also has worked with Dale Earnhardt Inc, the Tampa Bay Rays, Pittsburgh Pirates, Minnesota Vikings and Houston Rockets. In addition, Jim was a partner in BRANDTHINK, one of the leading sports consulting agencies in the country, and served as a senior marketing executive with numerous major agencies, including DraftWorldwide and Digitas. Outside of the office, Jim is an avid tennis player and enjoys cold beer. Leaphart officially joined the team as Director of Sales & Marketing on March 1, 2011. He was instrumental in the team's formation, establishing the brand, business operations, managing outreach programs, player personnel, merchandise, fan engagement, social media, marketing and sales with a focus on securing new team sponsors and season tickets. He was promoted to Vice President / General Manager on June 14, 2012. In December of 2015 Leaphart relinquished his GM duties to focus on business development and fan engagement. 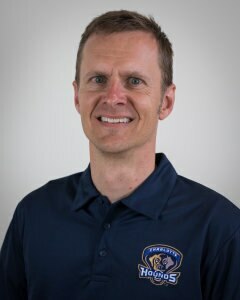 Before delving into Major League Lacrosse, Wade held various sales and marketing positions, including two seasons with the ECHL’s Fresno Falcons, a four-year run with the Charlotte Bobcats and a stint with Revolution Racing, where he was responsible for helping revamp the NASCAR Drive for Diversity program. Outside of the office, Wade spends his time watching Peppa Pig and working out. Cerino was named Head Coach of the Hounds on September 29, 2011. In four seasons at the helm he amassed a 19-37 record, including a playoff victory over the previously undefeated Denver Outlaws to earn a trip to the 2013 MLL Championship Game. In December 2015, Cerino was promoted to General Manager and stepped away from full-time coaching responsibilities. In addition to his role as Hounds GM, Cerino serves as Director of Athletics and Vice President for Intercollegiate Athletics at Limestone College. Cerino founded the Limestone Saints' men's lacrosse program in 1989 and built it into a national champion, winning a Division II title in 2000. His tenure as Saints head coach lasted 15 years and he remains the school's all-time wins leader with a record of 128-66 (.660). Cerino spent an additional five years coaching at Washington & Lee University, taking the team to the NCAA Division III Semifinal in 2002. He has compiled an overall collegiate record of 181-90 (.668) and has won a total of eight conference championships between the two schools. Cerino was named Deep South Athletic Conference Coach of the year in 1994 and 1998, as well as Old Dominion Athletic Conference Coach of the year in 2002 and 2004. Following the 2000 season, Cerino was named Street & Smith’s College Lacrosse USA Division II Coach of the Year. He also is a three-time recipient of the Jim "Ace" Adams National Sportsmanship Award. Throughout his career, Cerino has served on the Intercollegiate Men's Lacrosse Coaches Association (IMLCA) Board of Directors and the NCAA Men's Lacrosse Championship Committee, operating as Committee Chair in 2000. He has been a member of the United States Intercollegiate Lacrosse Association (USILA) Division III All-America Committee, the USILA National Ranking Committee and was selected to be a presenter at the 2000 and 2004 US Lacrosse Clinics and at the 2006 IMLCA Clinic. During his 20-year coaching career, Cerino also guided the Charlotte Latin School boy’s lacrosse team to an appearance in the NCISAA 2001 State Playoffs. He has mentored 51 USILA All-Americans and was a coach for the South team in the 1996 Division I North/South Classic All-Star Game. A native of Cold Spring Harbor, N.Y., Cerino resides in Greer, S.C., with his wife Christine and their three children, Ryan, Caitlyn and Allison. Favorite local coffee shop: Hot green tea is the way to go. I like to throw some pomegranate in there. One thing on your bucket list: I’d like to attend a World Cub Final at some point. That’s one of the greatest, if not THE greatest, championship in the world. So few people get the opportunity to experience something like that in their life. Best book you’ve read this year: I’m currently in the middle of both Questlove’s autobiography, “Mo’ Meta Blues: The World According to Questlove,” and Roman Abromovich’s biography, “Abramovich: The Billionaire from Nowhere.” I’ll have to let you know my choice when I’m finished, as they have completely different tones. 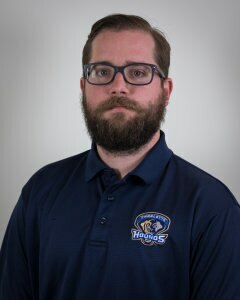 Patrick joined the team in February 2015, and is responsible for ensuring that all of the fans have the best experience possible. He wants to make sure everyone is not just satisfied but ecstatic about our games. Patrick is here to help bring fans out and keep them coming back with new friends, family members, and co-workers. He always wants to ensure that our fans are getting an experience tailor made to them and will not attempt to push someone to packages that don’t fit their wants or needs. Born in Greensboro, NC, Patrick has since lived in New Orleans, LA, Chattanooga, TN, Columbia, SC, and Blaine, MN. While he has moved around quite a bit, Patrick has always had a connection to the Carolinas. His mom grew up in Charlotte and his grandparents lived in Rock Hill. The opportunity to move to Charlotte and help build two great teams was an exciting opportunity that Patrick jumped to get on board with. Prior to joining the the Hounds, Patrick worked with Major League Soccer’s National Sales Center, which helped prepare him for a role in a growing sport. That experience allowed him to see the unique ways that each team handles their organization and their fans. Patrick is excited to bring that knowledge to Charlotte as we continue to grow lacrosse in the Queen City. When not in the office, Patrick enjoys playing Ultimate Frisbee, watching any soccer that happens to be on TV, playing soccer, exploring Charlotte (he’s still new here) and sitting in his giant foof chair (which is basically a couch sized bean bag chair with foam instead of beans). Blue made his debut at the first ever Hounds game on April 28, 2012. The fun loving canine was named by the fans via a name the team campaign on the Hounds facebook page and website. He has all the qualities of a Plott Hound - athletic, muscular, agile, indifferent to other dogs and loves the attention of humans. You can see Blue at all home games and out in the community. In his free time, he enjoys fetching lacrosse balls, marking his territory and hunting boar. Did you know that the Plott Hound is the State Dog of NC?